Our Heart Belongs to Woodrow! 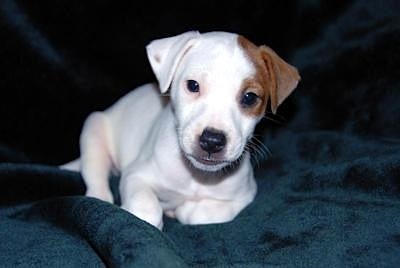 My husband and I were blessed with Woodrow early in 2008. This little guy has given us a whole new perspective of genuine, unconditional love. (Now he's 17lbs of love!) We count down the hours at work every day until we can come home to him. He's certainly taught us the value of patience and humor. He's a very quick learner and a sweet pup to all dogs and people alike. He's super social and approachable. A swimmer when there are ducks to chase); a great ball and toy retriever; and an awesome companion to get into misadventures - our Woodrow is the best! Comments for Our Heart Belongs to Woodrow! These are links to my puppy that I posted on this site.